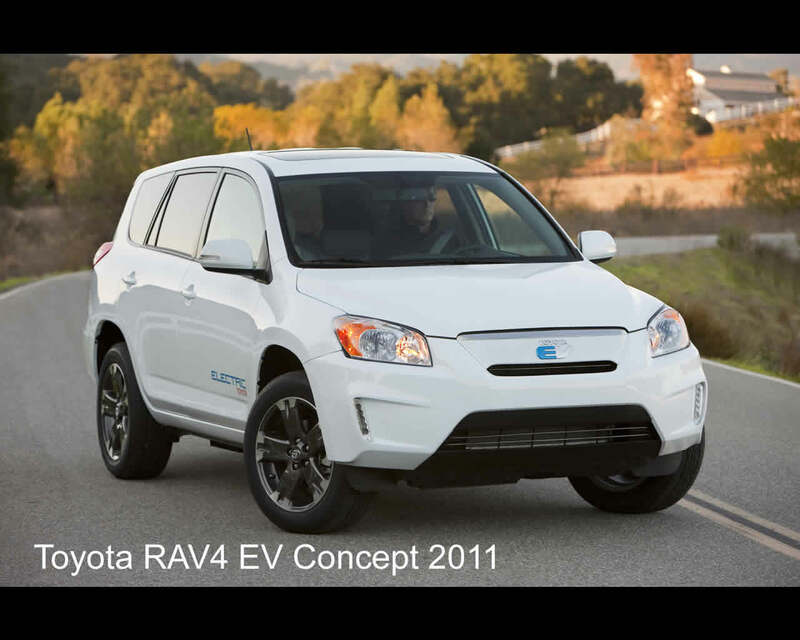 The Toyota RAV4 EV concept , an electric vehicle jointly developed by Toyota with Tesla, has been introduced at the 2010 Los Angeles Auto Show. A total of 35 vehicles will be built for a demonstration and evaluation program through 2011, with the introduction of a final production model in the U.S.A. in 2012. The final production model will have a target range of 100 miles (160 km) in actual road driving patterns, in a wide range of climates and conditions. The Toyota RAV4 concept is based on the current Toyota RAV4 compact SUV body and fitted with a Tesla electric powertrain. 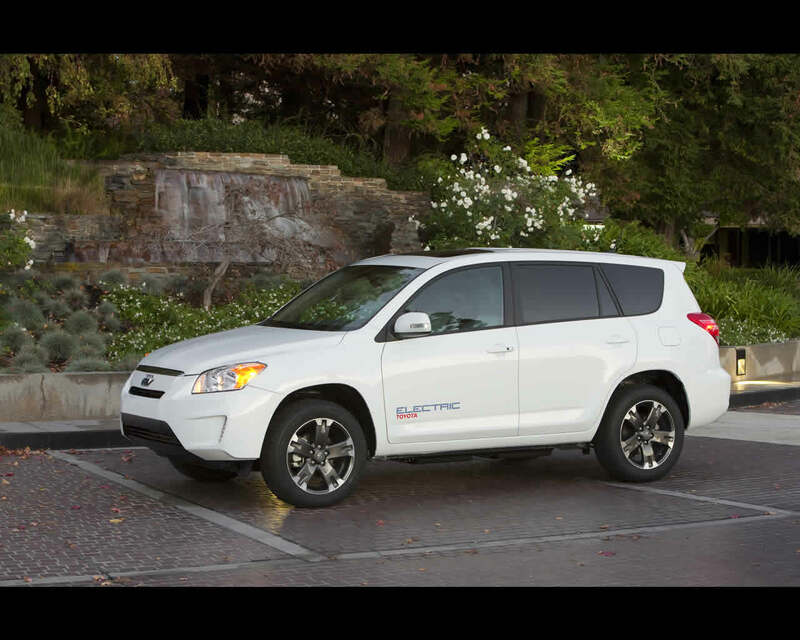 "When we decided to work together on the RAV4 EV, President Akio Toyoda wanted to adopt a new development model that incorporated Tesla Motors's streamlined, quick action approach," said Jim Lentz, president and chief operating officer at Toyota Motor Sales USA. The rsult was a new decision and appoval process and a development style that our engineers refer to as "fast and flexible." Led by the Toyota Motor Engineering and Manufacturing North America (TEMA) Technical Center in Michigan, the new development model helped reduce development time without compromising product quality. The team has accomplished this by approaching the project as they would a typical mid-cycle "major-minor" product change. 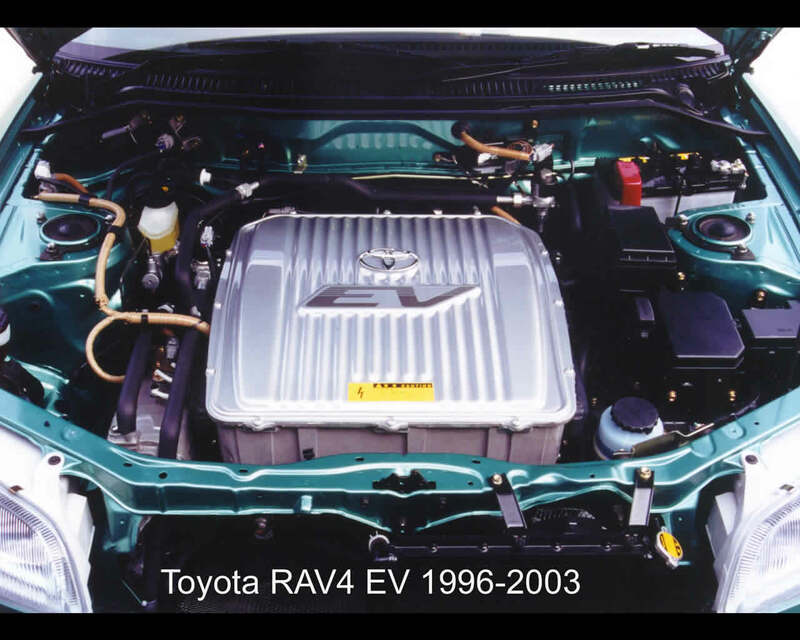 Specifically, midway through a generation, the team began with a fully engineered current-generation RAV4, to which was added a major powertrain option, along with minor feature and cosmetic changes. Tesla Motors was responsible for building and supplying the battery, as well as other related parts, that met specific Toyota engineering specifications in performance, quality and durability. Toyota was responsible for development and manufacturing leadership and the seamless integration of the powertrain.
" From the beginning, the customer experience has been the focus," said Lentz. "In other words, how do we deliver an unconventional product to mainstream customers that is compelling and affordable and that offers an acceptable level of daily convenience." A large part of the team’s focus on the customer experience targeted driveability. In this case, the end goal is a vehicle with driveability characteristics as close to the conventional RAV4 as possible. 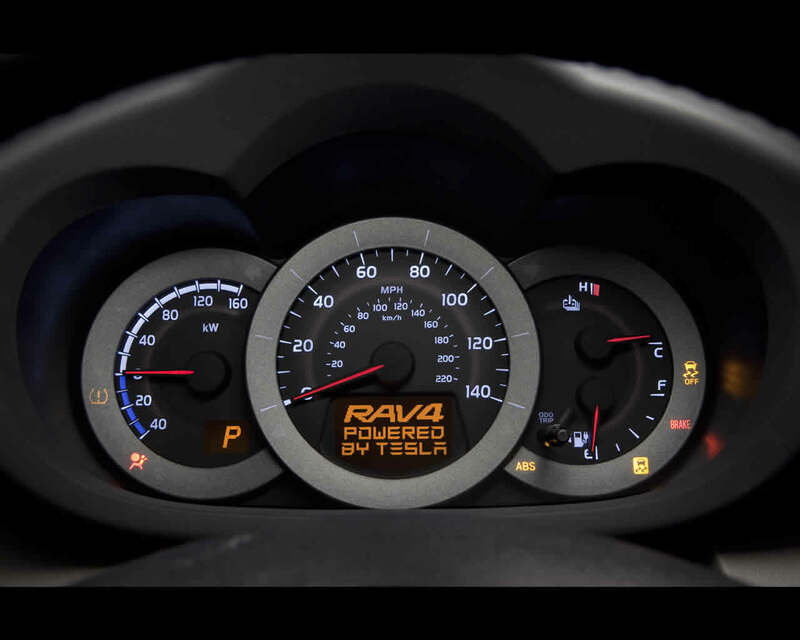 For example, the demonstration vehicle weighs approximately 100kg more than the current RAV4 V6 (US model) yet it will accelerate from zero to sixty nearly as quickly. The demonstration vehicle Toyota is currently testing is powered by a lithium metal oxide battery with useable output rated in the mid-30kwh range. However, many decisions regarding both the product, as well as the business model, have not been finalised. Battery size and final output ratings, as well as pricing and volume projections of the vehicle Toyota plans to bring to market in 2012, have not been decided. The RAV4 EV received several distinct exterior styling changes including a new front bumper, grille, fog lamps and head lamps. New EV badging and the custom “mutually exclusive” paint colour, completed the transformation. The interior received custom seat trim, multimedia dash displays, push-button shifter and dashboard meters. 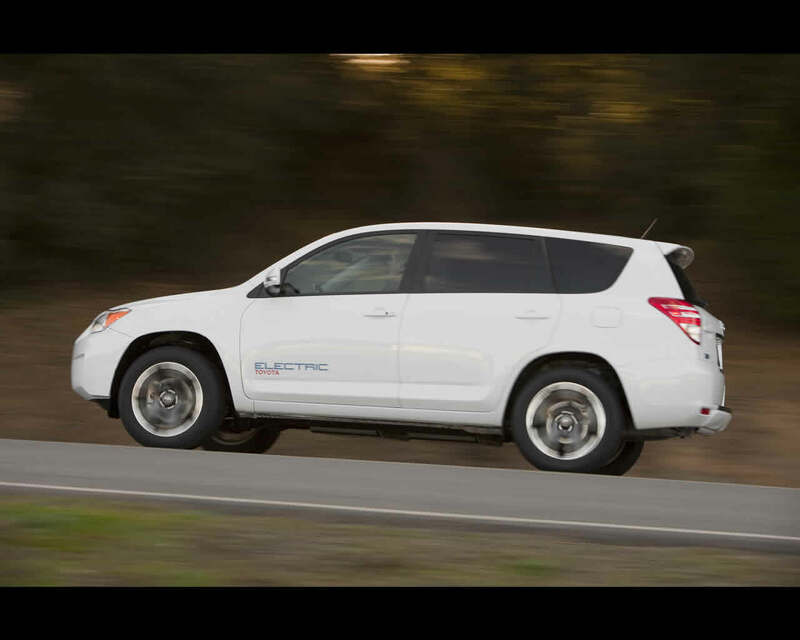 No cargo space was lost in the RAV4’s conversion to an electric powertrain. Toyota has indeed started develpment and research on electric cars in 1960 and about ten different prototypes have been completd before this Toyota first generation RAV4 was proposed for field testing and later sale or lease in Japan and the USA. 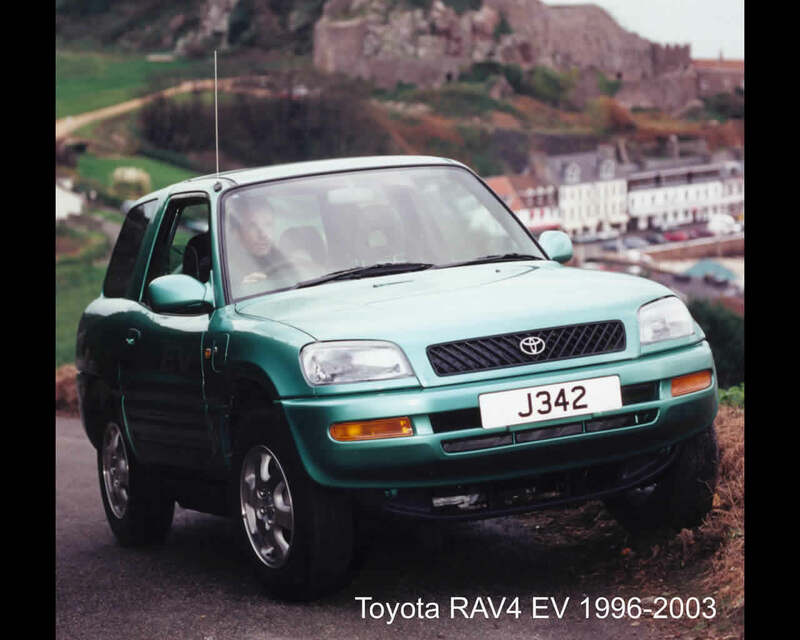 The first generation RAV4 EV has a range in urban driving conditions of over 124 miles (200 km) and can achieve a top speed of 77 mph (124 kph). It can be charged from a domestic electric supply (via an on-board 200V charger) from fully drained state to full in 10 hours. It is a fully developed package offering twin airbags; air conditioning (run off an inverter to save energy) heated front seats and an audio system. Unlike petrol-powered RAV4s, however, the EV is front-wheel drive with a single speed integrated transaxle. State of the art Nickel metal hydride batteries developed by Panasonic are maintenance-free and offer twice the range and three times the life of lead-acid batteries. Low rolling resistance tyres, regenerative brakes (which switch the electric motor into a generator and convert the kinetic energy usual lost during braking back into electricity for the battery) also increase the vehicle’s efficiency. 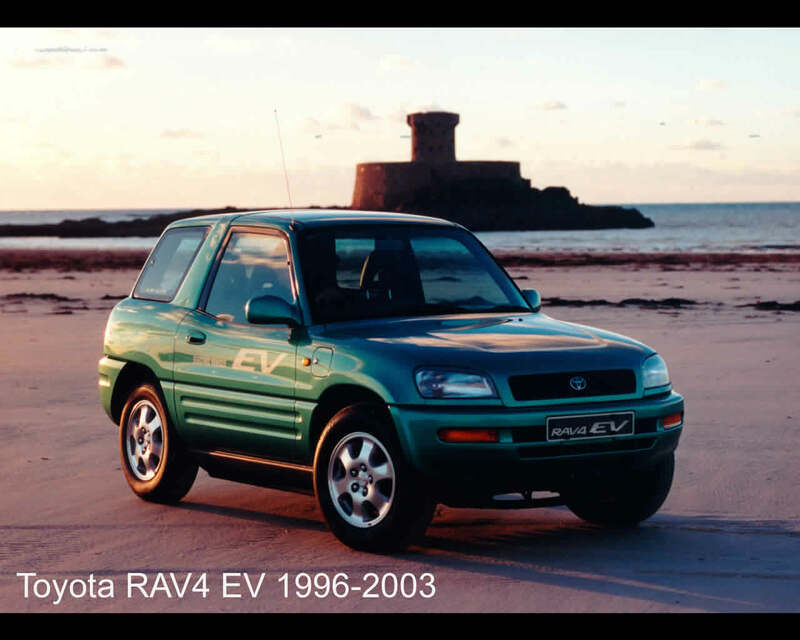 The RAV4 EV was developed following the highly successful introduction of the standard RAV4, and the programme included an entry in the 1995 Scandinavian Electric Car Rally, which the car won. The RAV4 EV has also won the production car class of Monte Carlo Rally for Electric Vehicles twice. The development programme also included pilot-fleet trials in Japan, the USA and Europe (where a 5-vehicle fleet continues to run on the Island of Jersey) which helped to establish realistic operating criteria for EV’s, to prove reliability and to assess the reactions of normal drivers to the EV concept. 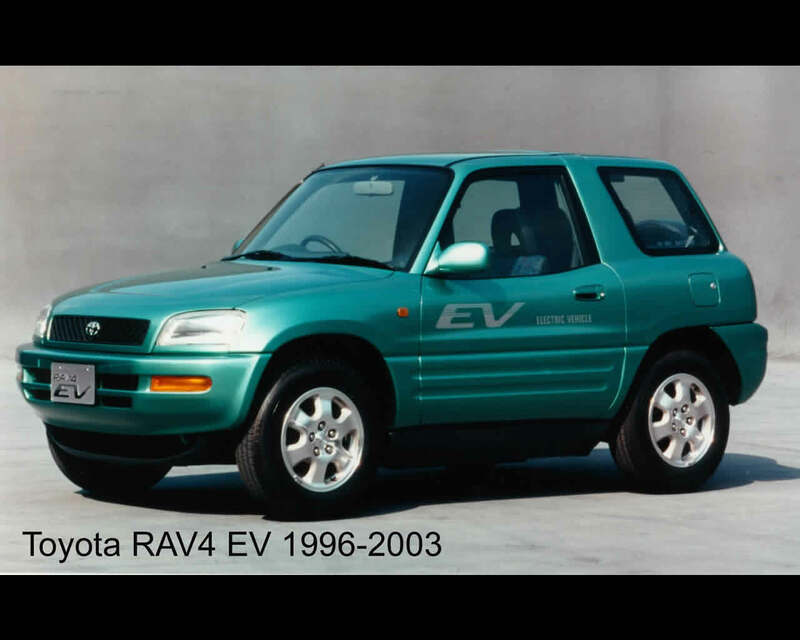 The first generation RAV4 EV was developed from the onset to full production standards of safety, durability, comfort and equipment. For example, the 5-door specification includes driver and front passenger SRS airbags and safety belts with pretensioners and force limiters, anti-lock brakes, power assisted steering, heated front seats and highly efficient air conditioning. Both versions of the RAV4 EV use a powerful permanent magnet type electric drive motor, driving the front wheels through a simple reduction gear and fed from an advanced nickel-metal hydride battery bank. The 5-door version has a more powerful motor (50kW instead of 45kW) and exploits its longer wheelbase to house the battery bank entirely beneath the cabin floor, leaving normal space for five occupants and their luggage. The battery bank can be recharged from a domestic power point via an on-board charger unit, Higher recharging rates can be achieved with specially adapted electrical power supply points. In the 5-door version, whenever the vehicle is plugged in to an external power supply, apart from recharging the batteries, the heating and the air conditioning system can be operated, with a driver-operated timer, to bring the cabin interior to a selected temperature before setting out on a journey. This increases occupant comfort while also reducing the amount of energy needed to maintain cabin temperature once on the move.